The latest issue of CITYGREEN on green roofs and walls has just been released. Now in its seventh issue, the award-winning publication CITYGREEN is published by Singapore’s Centre for Urban Greenery & Ecology (CUGE). 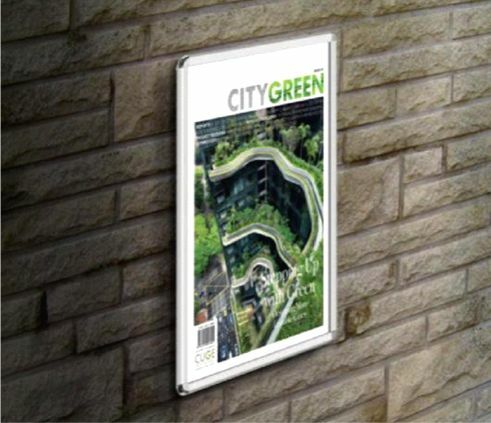 CITYGREEN is a biannual publication and winner of the APEX 2012 Awards for Publication Excellence as well as MPAS Awards 2012 Finalist, and covers topics on greening and ecology of the urban environment. Through its cover story, research reports and other feature articles, the magazine updates its readers on a diversity of topics along the theme “Stepping Up with Green,” bringing forth the emerging trends in the field of skyrise greening across the world. In this issue, CITYGREEN unravels the new possibilities in the advancement of skyrise greenery. It rounds up a number of impressive project features. Featured Writers for CITYGREEN issue 7 include Cornelia Oberlander, Marc Ottelé, Wong Mun Summ, Maureen Connelly and Paul Erlichman. Locally within Singapore, the PARKROYAL on Pickering hotel and Jardin condominium go beyond extensive integration with the façade, to bring greenery into close interaction with users. 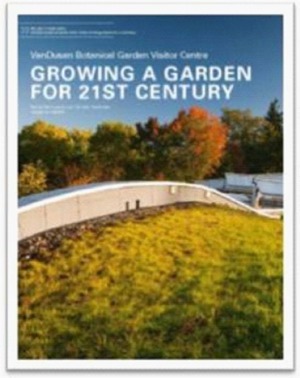 Internationally, the VanDusen Botanical Garden Visitor Centre demonstrates remarkable design of green roof deeply integrated with the building’s water conservation and treatment strategy, and innovative designs of commendable winners of the international Green Roof and Wall Awards of Excellence as well as Hong Kong’s Skyrise Greenery Awards in 2012. Stepping Up with Green also shares the positive financial forecasts for the global green roof and green wall market. In Aditya Ranade’s report of the economic study, Lux Research forecasts a USD 680 million market by 2017 for green walls, suggesting a sure role for such landscape treatments in the future of cities. By the way, Aditya Ranade was one of our keynotes at our Greenroofs & Walls of the World(TM) Virtual Summit 2013 – if you didn’t attend, you sure missed one exciting video! In line with the growing market, more rigorous standards and testing of various green materials will prove essential. 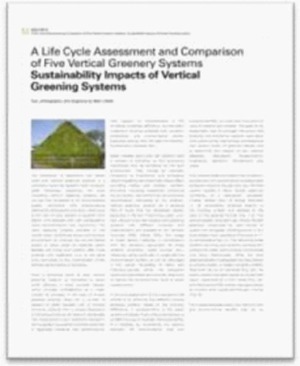 Marc Ottelé shares the findings of a life-cycle assessment conducted with collaborators to understand the cradle-to-grave environmental impacts of five different types of vertical greenery systems. Read these interesting articles and more in the latest issue of CITYGREEN – preview it here. Available at leading bookstores for only SGD 15.00 you can purchase it online. For more information, please visit CUGE’s online store. I haven’t seen it yet, but I’m sure the articles are great! I can’t wait to get my copy.